Another Wednesday and another cute make from one of our Maker buddies. 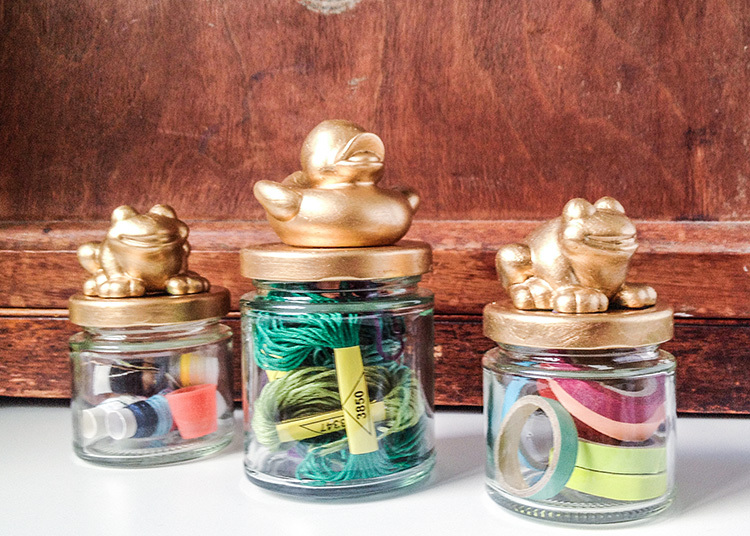 Today we have the lovely Hannah of Crafternoon Cabaret, who you may remember from our interview with her a couple of summers ago, to show you haw to make these adorable quick and easy Animal Jars for storing all your little supplies. Welcome Hannah! Hello everyone. My names’ Hannah and I run Crafternoon Cabaret Club – a craft blog and award winning event that combines craft workshops with live cabaret performances. 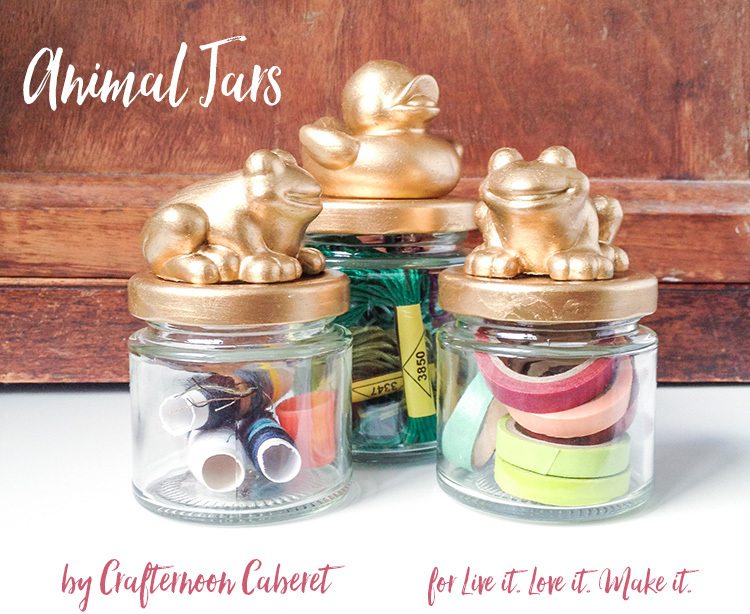 I am a firm believer in surrounding myself with creativity and I love filling my home with handmade items that will bring a smile to my face so I thought I’d share a really easy and fun DIY with you today for cute animal storage jars! If you’re anything like me you always have lots of projects on the go and storing smaller materials like jewellery findings, beautiful threads and even washi tape can be a challenge. I’ve found using jam jars is a great way to keep my materials organised – so why not make those jam jars a fun feature with a little DIY. 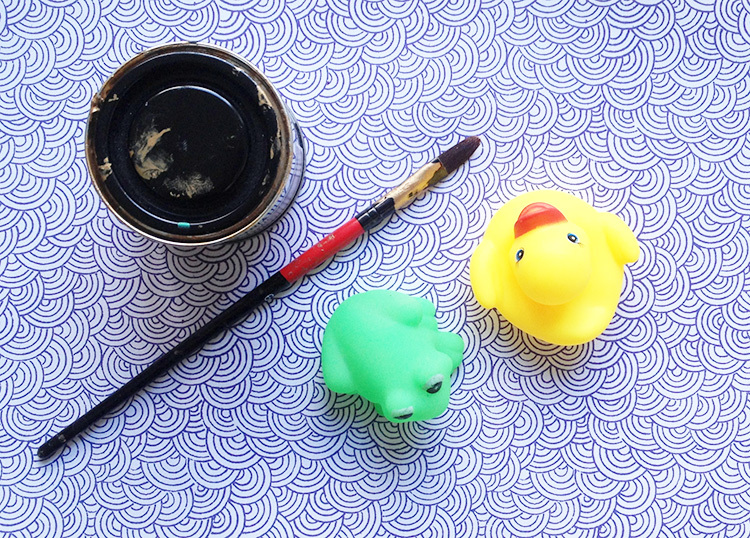 For this tutorial you will need: Jars with matching lids, Gold Paint (or a colour of your choice), Paintbrushes, Plastic toy animals – I’ve used little bath toys for mine but toy dinosaurs and zoo animals also look amazing (just make sure they fit nicely onto the lids of the jars) and a Glue gun. 1. 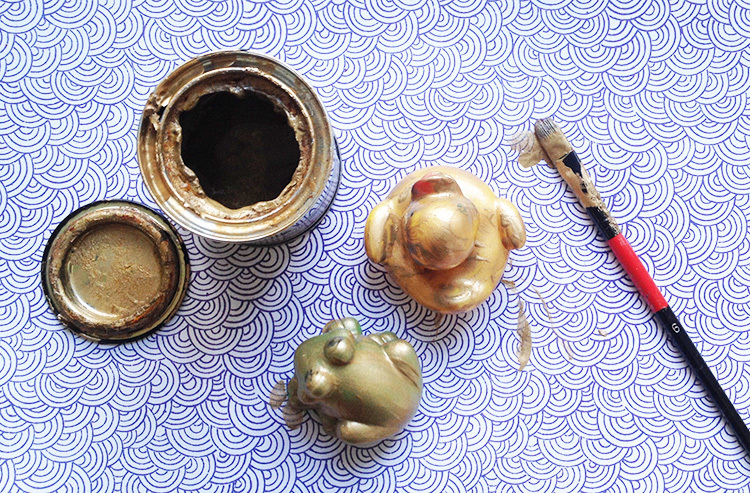 Paint your toy animals and jam jar lids gold. You want to have a really even finish with no original colour showing through so I would use at least 2 coats, allowing your paint to dry in between. 4. 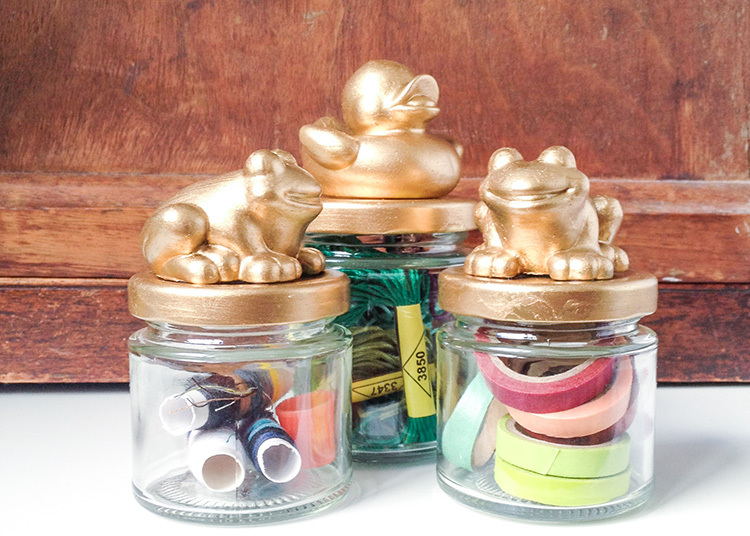 Stock up your jars with crafty materials, twist on the lids and check out your new golden menagerie of storage! And if you like your craft with a sprinkling of cabaret why not check out our next event at The Book Club, Shoreditch on Saturday June 11th 2 –4pm. As it’s the year of Punk we’re celebrating with a customising workshop – bring your jeans, jackets and bags and customise with embellishments, lino printing, and fabric paint. Check out www.crafternooncabaretclub.com for more details. Thanks for stopping by Hannah. I don't know about you but we are off to raid our nieces toy box for bits and bobs to stick on the lids of all our old jam jars!